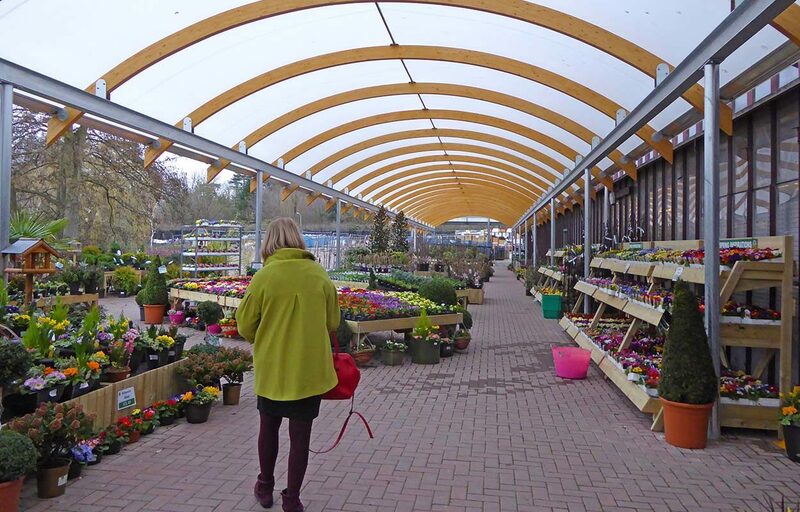 We recently installed a hybrid canopy at Bybrook Barn Garden Centre, part of the Longacres Group. 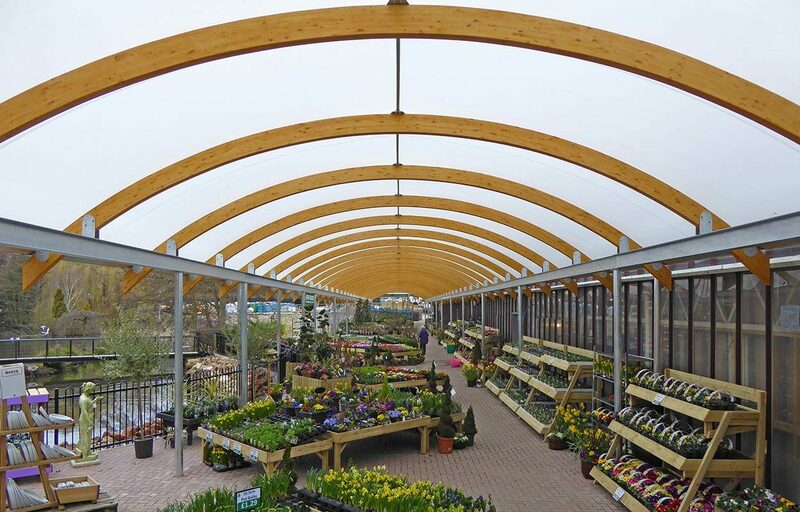 Using steel stanchions and glulam timber arches for an 8m span and 60m length, the aesthetic keeps the wow factor of the timber arches coupled with a contemporary feel with the use of steel. 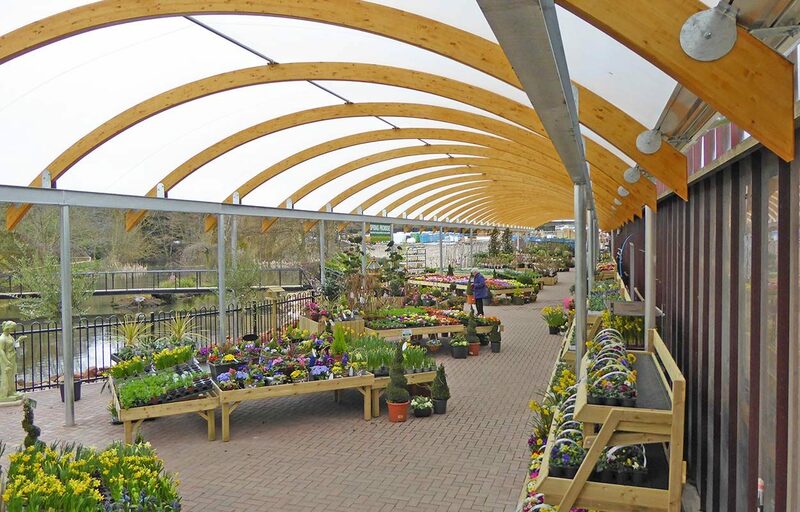 The steel stanchions can be galvanised or finished using powder coating, which can be applied using any RAL colour. 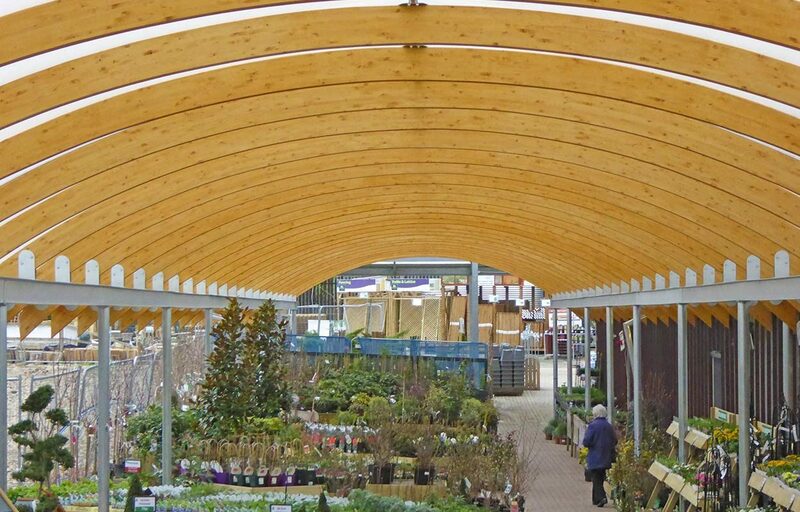 This lends itself well for the structure to remain in-keeping with any branding guidelines your business may have. 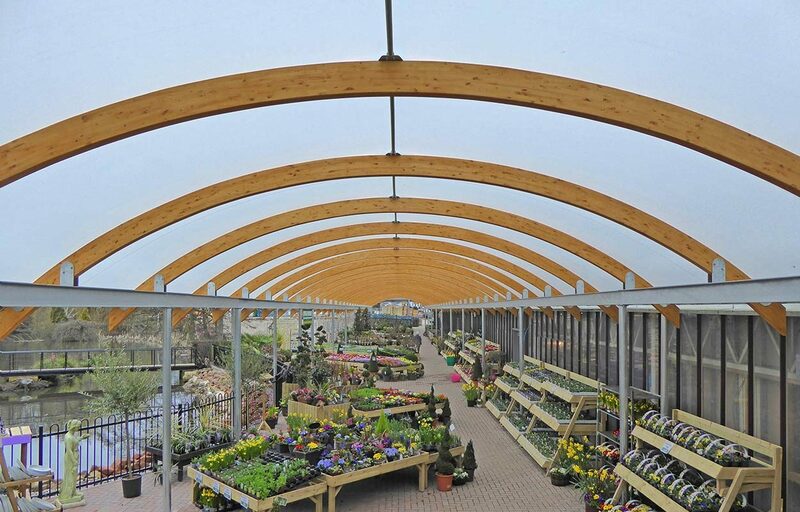 The hybrid canopy played a part in Bybrook Barn winning “Best business refurbishment, refit or extension award”. Read about the award here. 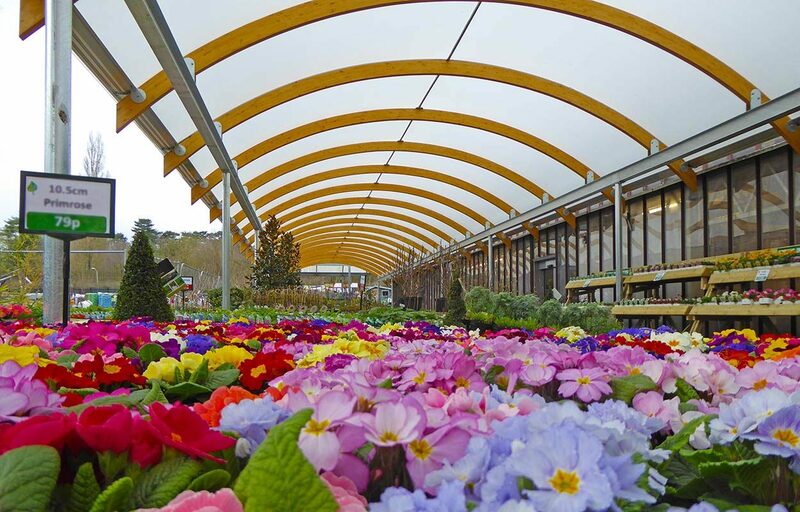 The hybrid is more about personal preference, as the structure guarantee of 25 years remains true for all options. 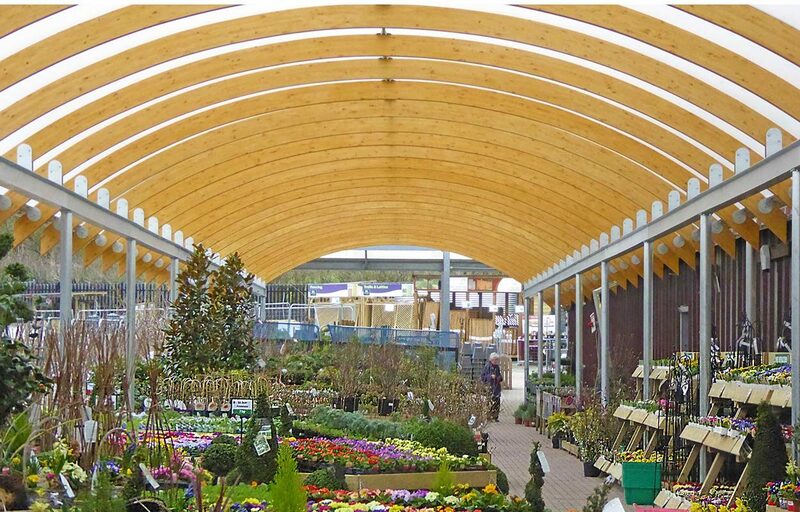 It has more to do with how our canopy and walkways blend in with your environment, creating a seamless outdoor retail space.